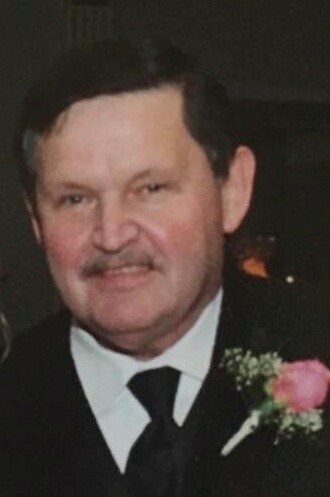 Obituary for Edward F. Travis, Jr. | DellaVecchia, Reilly, Smith & Boyd Funeral Home, Inc.
Edward F. Travis, Jr., 71 of Parkside, PA, died Wednesday, September 12, 2018 at Broomall Manor in Broomall, PA. He was the loving husband of Mary T. Chandler Travis, who compassionately cared and looked after him until his passing. Born April 26, 1947 in Darby, PA, he was the son of the late Edward F. Travis, Sr. and the late Ellen Stitt Travis. He graduated from Monsignor Bonner High School in 1965, then served in the U.S. Marine Corps during Vietnam 1966-67. Ed completed the Electrical Union Apprenticeship for IBEW Local Union 654 and was employed by the union for 35+ yrs. In addition to his wife, he is survived by his children: Stacey Travis-Treacy (Michael) of West Chester, Edward M. Travis of Painsville, OH, and Jeffrey M. Travis of West Chester; Grandchildren: Karli, Travis, Cecelia and Teagan; many nieces and nephews. Relatives and friends are invited to his Visitation from 7-9pm on Tuesday, September 18, 2018 at DellaVecchia, Reilly, Smith & Boyd Funeral Home, Inc. 410 N. Church St. West Chester, PA 19380, 610-696-1181, www.DellaFH.com and from 10-11am on Wednesday, September 19, 2018 at Our Lady of Charity, 231 Upland Rd. Brookhaven, PA 19015; followed by his Funeral Mass at 11am.